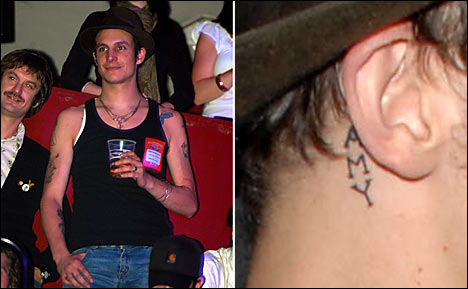 Blake Fielder-Civil (Amy Winehouse husband) new tattoo…no wonder Amy’s mother doesn’t think it’ll last. This entry was posted in Amy Winehouse, Blake Fielder, Celebrity, Rehab, Rock, Tattoo. Bookmark the permalink.